SUE WAREHAM. Parliamentary debate on going to war is long overdue. This week marks the 15th anniversary, on March 20, of one of Australia’s most disastrous foreign policy decisions – our involvement in the invasion of Iraq. To characterise this as “our” involvement, however, does a great disservice to the millions of Australians who were vehemently opposed to the decision that was made by just one person, prime minister John Howard. The clear wishes of the people on this most significant of all decisions were ignored, and our elected representatives in parliament were not consulted. The situation was not an emergency and Iraq posed no threat to Australia. There was every opportunity for the exhaustive scrutiny of Howard’s plan that was critically needed. But it did not happen. The invasion of Iraq unleashed a catastrophe in every respect, the consequences of which will continue to play out globally for the foreseeable future. Despite the terrible impacts of the war on many of its veterans, those who pay the highest price are the Iraqi people themselves, and those of Syria whose war followed and elsewhere in the Middle East. 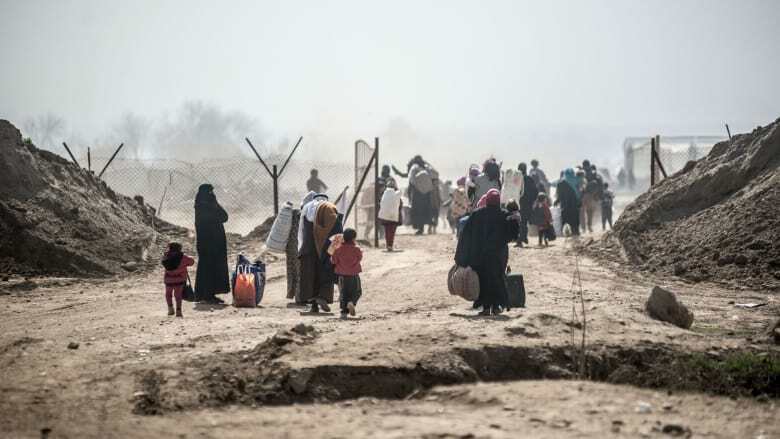 It is their families, their livelihoods, their communities and their futures that are shattered on an unimaginable scale. The extent of suffering that has occurred was predicted before the war, by humanitarian and other agencies, but the warnings were ignored. The Costs of War project at Brown University in the US, which examines the impacts of the wars in Iraq, Afghanistan and Pakistan since 2001, estimates that the number of total war deaths thus far from direct violence alone is over 370,000. Approximately 200,000 of these were civilians, with this figure likely to be an underestimate. There have been at least 800,000 more deaths from indirect war-related causes. This means that a majority of those killed are civilians. One might expect such a shocking reality to prompt a radical rethink on our approach to terrorism. Instead, however, the ostrich approach has more appeal in Canberra, Washington and other Western capitals. 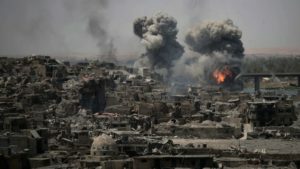 The “liberation” of Mosul in 2016-2017, in which Australia is said to have played a key role, reportedly killed many thousands of civilians. However, according to USA Today on December 20, 2017, the Coalition “lacks the resources to send investigators into Mosul”. For a country, the US, that has spent around $5.6 trillion dollars on its post-September 11 wars (not including future interest costs of borrowing for the wars) this sounds more like “lack of interest”. Similarly, in reply to a question in Senate Estimates in March 2017 on the total number of casualties on all sides of the Iraq war, our own Defence Department replied “Statistics regarding military and civilian casualties from other nations or organisations need to be sourced from those nations or organisations, as Defence does not have access to this information”. If the US and allies really are stretched for funds to find out what impact our wars are having on the people in whose countries we fight, then a quick google search could help them out. On December 10 last year, Defence Minister Marise Payne proudly announced that Australia has given $180 million in humanitarian aid to Iraq since 2011. This equates to an amount each year that our military use every eight hours. Our priorities are warped beyond belief. Deaths are of course just the tip of the iceberg. For every civilian killed, there are multiple others whose lives are devastated by grief, injury, lifelong psychological trauma, homelessness and a multitude of other deprivations. Brown University reports that 10.1 million Afghan, Iraqi, and Pakistani people are living as war refugees and internally displaced persons. And the result of much of this human tragedy? To take the example of the second assault on Fallujah in 2004, in which the Australian Jim Molan who now sits in our Senate was in charge, according to The Guardian on January 12, 2005 “..the US military destroyed Fallujah, but simply spread the fighters out around the country.” The report continued: “They also increased the chance of civil war in Iraq by using their new national guard of Shias to suppress Sunnis”. From the comfort and safety of Canberra, 2003 and 2004 might be regarded as too long ago to revisit. 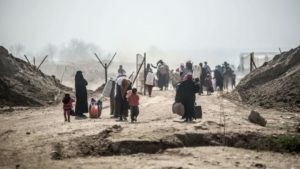 But for the Iraqi people, the impacts of the invasion of their country and everything that’s happened since are fresh, raw, devastating and in many instances lifelong. Fifteen years on, and still at war with no end in sight, it is time to ask hard questions about who, other than the weapons makers, really benefits as we send the troops off again, and again, to wars that kill primarily civilians. Debate on this in our parliament and elsewhere is long overdue. Our troops themselves deserve nothing less, as do each and every one of the devastated lives left in our wake. This article was first published in The Sydney Morning Herald. Dr Sue Wareham is President of the Medical Association for Prevention of War (Australia) and Secretary of Australians for War Powers Reform. 2 Responses to SUE WAREHAM. Parliamentary debate on going to war is long overdue. So we’ve contributed to the civilian death-toll and personal trauma that is a direct cause of the very terrorism of which our government now bitterly complains. At least John Howard, to give him limited credit, did table in Parliament the legal advice he had received to justify Australia entering the Iraq War. Perhaps because that advice was so bad, Howard’s gesture has never been replicated. We entered the Afghan War on similarly false pretexts and are still there more than 16 years later. The heroin trade seems to be the only beneficiary of that venture and the Americans, like Australia, have evinced no real interest in leaving. We are still “training” local Afghan troops!!! No-one can tell me what we are going to achieve next year that we failed to achieve in the past 16 years. Syria is even worse. Our letter to the UN Security Council gave one reason for getting involved, and Bishop gave different reasons when questioned by the ABC. Neither the letter nor Bishop’s explanation had a shred of legal credibility. Presumably having learnt the lesson from Iraq, the government has refused to release the legal advice it received, having sat on it for a year pretending it was waiting for legal advice before making a decision. I am still waiting for a halfway reasonable explanation as to how it is the Canada, the Netherlands and the UK can conduct major inquiries into the Iraq War and Australia refuses to do so. After the Chilcot Inquiry (UK) confirmed that the politicians lied to Parliament and the people, our politicians fear a similar result. Accountability is a word that can no longer be applied in the Australian political lexicon.